Why incorporate in British Virgin Islands? The British Virgin Islands is an archipelago of over 40 islands, 16 of which are inhabited. Discovered by Columbus who is said to have been so impressed by their large number that he named them “Las Virgenes” in honour of St. Ursula and her 11,000 attendant virgins they lie to the north west of the United States Virgin Islands. The neighbour with the largest land area is Puerto Rico, 96 km to the west. Except for Anegada, which is a flat reef surrounded island of coral limestone, the Islands are hilly and enjoy a subtropical climate. Their greatest tourist attraction is their superb beaches. 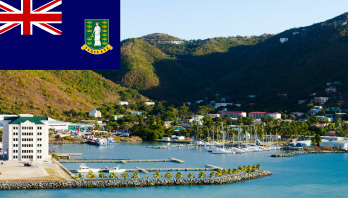 BVI BC’s are a very popular and widely used offshore companies because of their administrative ease, flexibility, taxation exempt status and the fact that they are widely accepted and understood by the international financial community. BVI BC’s may not own real property in the BVI, other than the lease of an office, and may not carry on banking or trust business (unless licensed under the Banks and Trust Companies Act, 1990) or insurance or re-insurance business (unless licensed in the BVI to carry on that business). Otherwise, BVI BC’s may engage in any activity that is not illegal under the laws of the BVI subject to any restrictions in their Memorandum of Association.